Are you sick of paying for ringtones? Want to turn your favorite hit or soundtrack from a movie file into your ringtone? 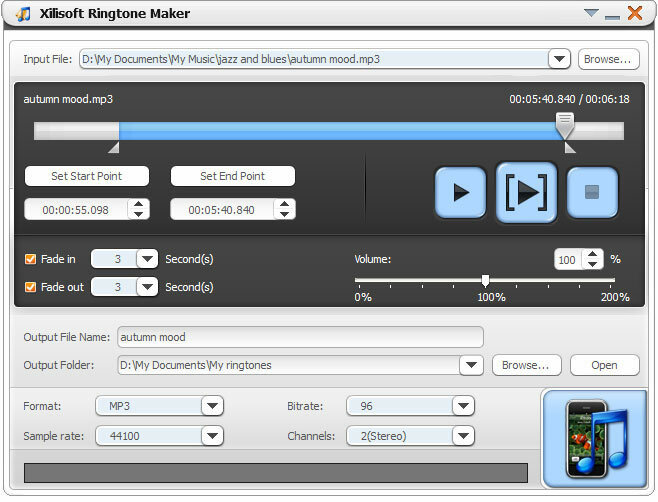 Xilisoft Ringtone Maker provides the ideal solution to help you create ringtones in MP3, WAV, M4R, M4A, OGG, AMR format from video soundtracks and music files. Among a wide range of media supported by this ringtone creator include: AVI, MPEG, WMV, DivX, MP4, H.264/AVC, MKV, RM, MOV, MP3, WMA, WAV, RA, M4A, AAC, AC3, and OGG. 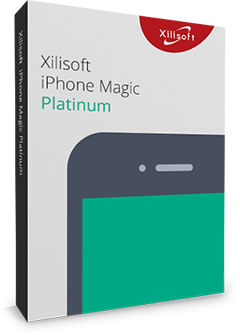 Hence, whether you own a Nokia, Motorola, iPhone, Gphone, Sony Ericsson, BlackBerry, HTC, or just about any other mobile phone type or brand, Xilisoft Ringtone Maker can make a ringtone for it! Create ringtones from popular audio files including MP3, WMA, WAV, RA, M4A, AAC, AC3, and OGG. Extract audio such as soundtrack or dialogue from videos in AVI, MPEG, WMV, DivX, MP4, H.264/AVC, MKV, RM, and MOV format, and turn them into ringtones. Trim an audio segment to the millisecond and make it your ringtone. Adjust the bit rate, sample rate and audio channel for your ringtone. Apply fade-in/fade-out effect (up to 10 seconds) to the beginning/end of your ringtone. Play file or trimmed segment prior to ringtone making, and preview the fixed ringtones with fade-in/out effects applied with the built-in media player. Add file to application using simple drag and drop operation. Interface available in English, German, French, Spanish, Traditional Chinese, Simplified Chinese and Japanese. Mobile phones: Nokia, Motorola, iPhone, iPhone 3G, iPhone 3GS, iPhone 4, Gphone, Sony Ericsson, BlackBerry, LG, Samsung, HTC, etc.